Windmill villa is a unique Boutique Hotel, the smallest and most beautiful Resort in Europe. 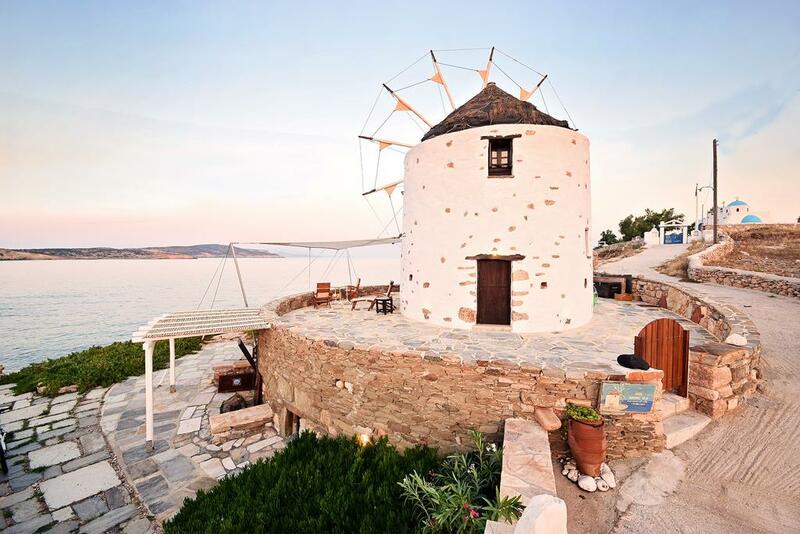 Since 2002 this traditional monument Windmill Villa, is protected by the Hellenic Ministry of Culture and operates as a luxury hotel A class, 4 (****) on Koufonissi Island Cyclades, starting at Mai to October. It can be rented for at least one week (7 days, preferred Sat-Sat) including the whole building, without a breakfast service (not for B&B-cleaning stuff will take care, duvets and towels every 3 days), with transfer from/to port by car. 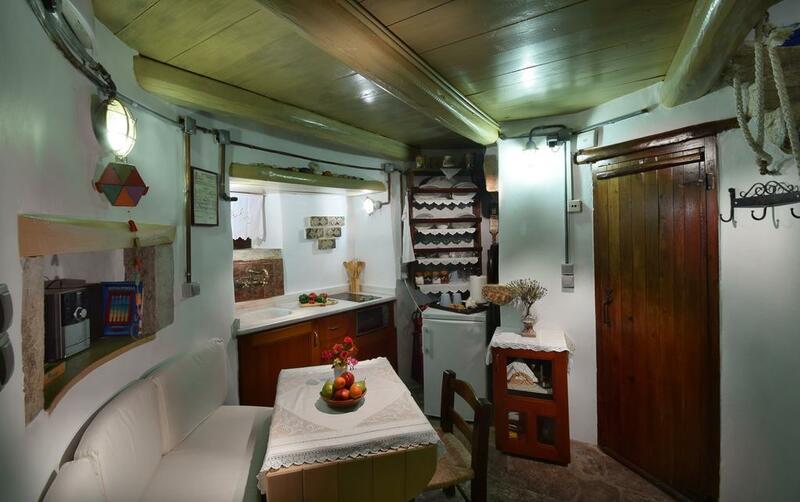 It is only one apartment, in the ground floor the kitchen and WC takes place, it consists from 2 floors, with 2 beds on each floor and is not possible to rent it separate. 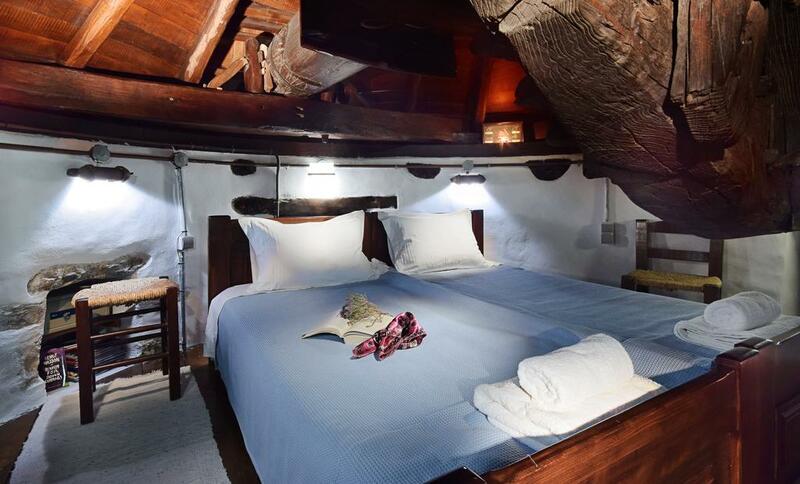 During your stay, no other people are able to live in the windmill, so you can enjoy this magic experience with privacy. The distance from the sea is approximately 15 m, private beach with rock-plates exists next to the location, ideal for relaxation. 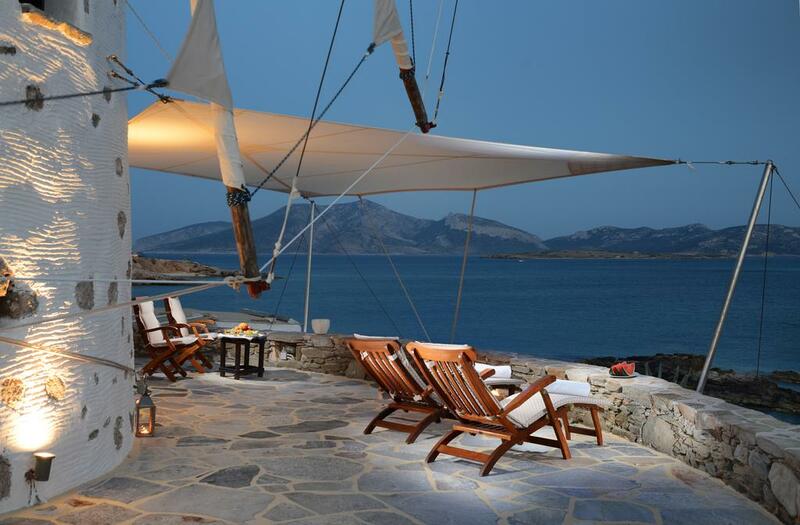 The villa and the island are safe and wonderful, offering panoramic views in three directions and exciting sensation. On the island there is a limited hospital unit and pharmacy, 12 sea food restaurants, 2 bars and 2 super-markets. There is a heliport for an emergency.